Often low back pain comes from the muscles, ligaments and joints. The International Association for the Study of Pain (IASP) defines pain as being an unpleasant emotional and sensory and experience that is associated with actual or potential tissue damage. Pain is influenced by attitudes, beliefs, personality and social factors, and can affect your emotional and mental wellbeing, it is not just a physical sensation. Two people may have a similar pain condition but the way that they experience living with pain can be very different. Pain can be very individual. Pain, tightness, ache, burning, throbbing, heavy, dull. These are all words that I hear regularly when patients describe their low back discomfort. It could be a very specific area of pain, or pain that you find hard to pinpoint where it is originating from. You may even feel pain in your low back, sacrum or buttock that is being referred from other areas of your body (like your abdominal muscles). Does having low back pain make you feel and behave older than your years? Can you no longer do the gardening or play with your grandchildren? Do you want to return to running or your previous exercise routine but are just too sore to do so? How is LOW BACK PAIN commonly diagnosed and treated with Modern Medicine? Many people have been to a GP or specialist prior to coming in for acupuncture. These professionals may have done some muscle testing where you bend and stretch your back, legs and hips. Taken blood tests or you may have had an x-ray, CT scan or MRI to investigate whether there are any structural abnormalities where you have pain. You may have been prescribed medication to help control your pain, which may or may not be working for you. I frequently see people in the clinic with acute and chronic low back pain. Muscle testing and other specific range of motion tests are done to assess the lower back. Referrals are often made to a GP or specialist if necessary and warranted. 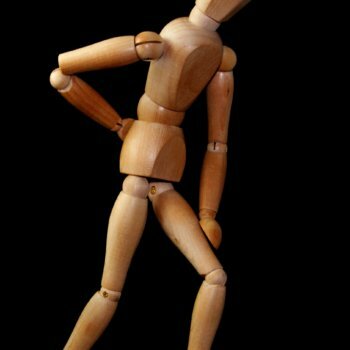 How many people does LOW BACK PAIN affect in Australia? Back pain is very common in Australia. At least 1 in 6 people experience back pain every year. If you have not experienced it yourself you probably know someone that has. When you come for an acupuncture treatment Kim will feel your pulse and have a look at your tongue (this can tell us a lot about your health), there will also be a lot of discussion about your current signs and symptoms and those you have had in the past. The majority of the time Kim will use acupuncture in an area of your body away from your painful condition. The beauty of this is that you can move the affected area during the treatment, to obtain an increase in range of motion and move with more ease. Renew Acupuncture Clinic encourages you to remain in contact with your primary care treating physician and other therapists. Chinese medical acupuncture has been used for thousands of years to treat a variety of conditions, however not all of these conditions have a high standard of evidence of efficacy. Australian national law requires claims of efficacy of treatment to be made with reference to evidence of a high standard. For this reason I have quoted and provided recent studies that have evidence of efficacy for using acupuncture for back pain. In an initial consultation there is a lot of discussion so that you as an individual can be assessed, questions are always encouraged. Tiny acupuncture needles (thinner than a hair follicle) are inserted into specific acupuncture points and then you are encouraged to rest. Many patients fall asleep or into a deep state of relaxation. A follow up sessions involves a quick assessment and discussion prior to the treatment and then you are left to relax and rest. Many patients enjoy the ease of attending the community acupuncture sessions where they can have a 30 minute appointment for $40 as part of their treatment plan. Helping you RENEW your health sooner. Often specific stretches are prescribed for you to do daily in between treatments to keep certain muscles and ligaments loose and relaxed. This can reduce compensatory postures and make a lasting difference to your conditions of pain. Your posture, exercise regime, relaxation habits and sleep routine are also often discussed. Yes most major health fund rebates are claimable on the spot after your treatment. What is the easiest way to book my acupuncture session? Click the book online button and it will take you to the online booking system where you can easily book a time. Please call the clinic on 03 9077 7307 if you have any questions regarding the treatment, you condition or to see if acupuncture could be right for you.